Andrea Hylen is the Founder of Heal My Voice, a Coach, Author, Speaker, Parent, with expertise in Grief, healing from sexuality and trauma, writing to heal, connecting through social media and radio show hosting. She also teaches Orgasmic Meditation in group workshops and private sessions. Currently expanding her business as she travels around the world connecting with people in person. California, Baltimore, New York, Seattle, Sweden and…infinite possibilities. After the death of her husband in 2005, Andrea began to explore a deeper place inside of herSelf. She learned to let go of some of the dreams that died with her husband and open to new ideas, dreams and passions. Some of the inspirations led her to become a co-author of a book, travel to 78 Jonas Brothers concerts with her teenage daughter, and sell her house and personal belongings, to move from Maryland to California. 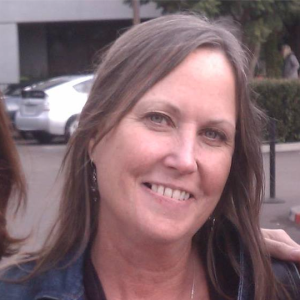 During 2010, she lived with her 18-year-old daughter in youth hostels, hotels, and with friends in Los Angeles, wrote 70 articles on grief transformation and hosted 44 Grief Transformation Internet Radio Shows with twenty-seven guests over the 2010 holiday season to provide support and information. In January 2011, Andrea founded Heal My Voice, Inc. The mission is to empower women to heal a story, reclaim inner authority and personal power and step into greater leadership at the dinner table, in the community and business and in the world. This is supported with a nine month process in on-line communities. Women write their stories in an on-line community, speak on an internet radio program and become more visible in social media. In 2014, the focus shifted to Sexuality, Power and Money. Andrea shared her personal exploration with orgasmic meditation, a 15 minute partnered practice and her personal life experiences in a 12 series teleclass on Sexuality, Power and Money. The Heal My Voice program called Sensual Voices: True Stories by Women of Connection and Desire was published in June 2015. Shows are archived. New programming begins in January 2014. Topics included Sexuality, Reclaiming Power, Opening the Flow of Money, and interviews with women from Heal My Voice projects: Voices of Peace, Voices of Love, Voices of Feminine Leadership.